The summer season is nearly upon us – and the city has enjoyed its fair share of sun already. To celebrate the warmer temperatures, Slim’s Pork Chop Express is hosting the BBQ Club on Thursday 2nd June. Your mouth will be salivating from all the delicious food on offer – from 3pm until late! Head on over to The Club House at Liverpool One at 6pm on 2nd June, because you won’t want to miss their Langley’s No.8 Tea Party. A modern twist on a classic tradition, you can enjoy tea, cake, a deli board to share and, of course, some Langley’s No.8 Gin. Tickets cost £20 – so book soon to avoid disappointment. When it comes to ships, music and entertainment, you can’t compete with Liverpool – which is why you would have to be absolutely crazy to miss out on the International Mersey River Festival 2016. From the 3rd to 5th June, all the family can come along to the Liverpool Waterfront to see all sorts of tall, small and narrow boats, as well as jet skiing demonstrations and enjoy some water sports at Salthouse Dock. The theme of ‘Soundwaves’ brings the Mersey and music together to create one amazing event, so head to the Mann Island and Ship Stage to see performances from household names such as Billy Ocean, The Real Thing, Natalie McCool, Soul II Soul, plus many more. You can also enjoy community choirs, Irish bands, the Royal Marine band and, obviously, some local talent. Not only that, but you can step aboard the recently restored Daniel Adamson for the first cruise experience, watch rounds of The British ThunderCat Racing Tour and see top athletes compete at the Industry Pro Wakeboard Tour. It seems there’s no stopping us Scousers in Boxing right now. Straight off the back of Tony Bellew becoming the WBC Champion at Goodison Park, but Liam Smith will take to the Echo Arena ring on 4th June to defend his WBO World Super-Welterweight title. As ever, the crowd is bound to be electric, cheering the boxer on against his opponent Predrag Radosevic. Everyone’s favourite game of bingo will return to Camp and Furnace on 4th June. That’s right, Bongo’s Bingo is back once again – and this time for a Saturday special! From 6pm until 11.30pm, you can partake in this thoroughly enjoyable game, which will include dance offs, rave rounds and some epic and funny prizes. The Liverpool Playhouse brings us another remarkable theatrical performance this June. Observe the Sons of Ulster Marching Towards the Somme will allow audiences to observe the depiction of one of the bloodiest battles in history, The Battle of the Somme. In collaboration with Abbey Theatre, Citizens Theatre and Headlong, the theatre will showcase the iconic Frank McGuinness World War I play to the stage. 8 ordinary men will enter an extraordinary situation, taking you on a journey of mortality, love and loss. It’s not to be missed! Harry Potter fans cannot – should not – miss the chance to view Hagrid’s Motorbike, which will be on display at the Museum of Liverpool until 9th June. You have the unique opportunity to see the motorbike and sidecar that everyone’s favourite giant and boy wizard sat in, which featured in Harry Potter and the Deathly Hallows Part I (2010). Visit the motorbike soon – because it will be gone quicker than you can say Wingardium Leviosa – not Leviosar. You can guarantee you’ll be saying – or singing “Oh, what a night” once you’ve spent an evening with the Jersey Boys at The Green Room. This fantastic tribute show will have you up on your feet, dancing away to the much-loved hits from Franki Valli and the Four Seasons. With beautiful harmonies, a buzzing atmosphere, comedy from funny man Stevie Riks and superb table service, this is one night you are unlikely to forget! Positive Vibration – Festival of Reggae will offer two days of live music, food and drink, a record fair, pop-up stalls, children’s creative workshops, dub sound systems and face and body painting. Sounds amazing, doesn’t it? You won’t want to look out of place in Constellations garden, so wear you’re your brightest clothes to celebrate all things reggae. Grab your scrunchies, Union Jack dress and bumbags and hit the Big Baltic 90s Night on Friday 10th June 2016. The hits of the 1990s will bring The Baltic Social well and truly alive. Think the Spice Girls, Take That, Coolio, TLC, Run DMC, N-Trance, Eminem and, of course, Steps. Entry is free and the event will start from 8pm until 2am. How does a night on non-stop laughter sound to you? Well, take yourself along to the Boiling Point Triple Headline Show either on a Friday or Saturday this June. MC Paul Smith will introduce some fantastic comedians to the stage. The Eldonian Village Canal Festival will celebrate the bi-centenary of the Leeds Liverpool Canal. The event offers the perfect day out for all the family, including free boat trips up the canal, free canoeing for children, face painting, craft and food stalls and a chance to meet Shreck the boat horse. 30 James Street’s popular Swing Afternoon Tea will return on Sunday 12th June 2016. You and your loved ones can dine at the White Star Grand Hall, where you will be served delicious finger sandwiches, scrumptious cakes and traditional jam and cream scones – all served with a cup of tea and maybe even a glass of bubbles, if you fancy it. Complemented by wonderful swing music performed by a talented singer, you will be up on your feet dancing, soaking in the atmosphere. The Swing Afternoon Tea is available for just £29.95 per person. The Disney Magic cruise ship will make her second visit to Liverpool on Sunday 12th June – so show all passengers that warm Scouse welcome and head out to say hello. Not only will you see a remarkable ship enter the city’s terminal, but the Pier Head will be bursting with music and colour at this free event. Disney Magic is scheduled to arrive into the city at 8am on Sunday 12th June, and the event will run all the way through until 6pm. If that wasn’t enough, there will also be an outdoor cinema that will offer showings of Frozen, Toy Story, Finding Nemo and Mary Poppins. So the kids will absolutely love it! You can also catch live musical performances at the bandstand in front of the Cunard Building, where you can watch the Royal Marine Band who will play a Disney medley. You can also catch performances from Liverpool’s Ukulele Orchestra and opera singer Danielle Thomas. Young and old explorers will not want to miss the Magic Garden at the Pier Head, which offers potting sheds, toadstools, giant flowers and fairy houses. If there’s one thing you won’t want to miss, it is the firework display at 10.15pm as the liner sails out of the city. Disney fancy dress is also encouraged for all ages, so dress up as your favourite character and embrace the magic of the day. The living legend that is Elton John will take to the Echo Arena stage on 14th June, which is part of his Wonderful Crazy Tour. You will have an opportunity to hear the singer-songwriter perform some old and new hits, offering a musical experience you’ll remember forever. There are so many innovative craft beer companies across the UK – so you just have to attend the Liverpool Craft Beer Expo this June. With more than 300 beers, 10 bars and over 100 beer taps, you can sample some of the finest kegs and casks in the country. Team that up with live music and good food and you’re in for an amazing weekend! If you prefer tennis over a beer expo, why could always attend the Liverpool Hope University International Tennis Tournament. Various established and up-and-coming WTA and ATP players will participate in the longest running and largest tennis exhibition in Europe, including Damir Dzumhur. Summer comes to Red Door this June in the form of Push for Aperol. The pop-up Aperol Spritz Bar offers a taste of the sunny season, because you can enjoy 2-4-1 Aperol Spritz, as well as BBQ, live music and a DJ on the terrace. You can also use the Bluetooth ‘Push for Aperol Spritz’ button and the drink will be on its way to you – hence the event name. You will not want to miss out on a chance to enjoy a Mersey Ferry summer evening river cruise. Not only can you absorb the magnificent views of Liverpool’s world heritage waterfront, but there will also be live acoustic music and a licensed bar aboard the ferry. The Royal Court is set to offer another comedy-filled show this June with The Royal. You are bound to laugh out loud throughout the show, which focuses on three medical professionals trying to flee the Royal Liverpool University Hospital before it is demolished and turns to rubble. You might even need to take yourself along to the actual hospital to be stitched up once the show is over, because this is some side-splitting comedy. One of the most hotly anticipated events on the Liverpool calendar will return this June. We’re just weeks away from Africa Oye 2016, which is the UK’s largest free celebration of African music and culture. The event will take place from 12.30pm to 9.30pm on Saturday 18th and Sunday 19th June 2016, offering music, food, drink and plenty of atmosphere. Does your Dad love nothing more than a hearty meal and a cold beer? Well, show him how much you love him this Father’s Day by treating him to Sunday Lunch and a Pint at The Bastion Bar & Restaurant. Dad can enjoy a relaxing day not only surrounded by his family, but by unseen Bill Shankly memorabilia – including his personal typewriter, clothing and letters to and from his fans. The Sunday Lunch with a Pint is available for £19.95 per person for a minimum of 4 people, which includes Dad – who eats free! Fall in love with all things Motown once again with the critically-acclaimed Dancing in the Streets at Liverpool Philharmonic Hall. The truly talented cast will bring the 70s to life, singing the songs made famous by The Temptations, The Four Tops, Marvin Gaye, Stevie Wonder, The Supremes, Lionel Richie, plus many more. The double platinum selling artist Newton Faulkner will hit the Liverpool Empire Stage in the musical American Idiot – which based on the music of rock band Green Day. Starring alongside the singer-songwriter is X-Factor finalist Amelia Lily, offering a passionate and powerful theatrical performance that will capture your imagination. One of the world’s greatest Elvis tribute performers, Gordon Hendricks, will step inside Liverpool Cathedral. Hendricks, along with The Passionettes & Live Band, will perform some of The King’s finest gospel songs, soulful ballads and famous hits. The event will support Liverpool Cathedral’s 24 for 2024 fundraising appeal, which aims to raise £24 million by 2024 for the upkeep and maintenance of the building, as well as developing education outreach projects. The Summer Arts Market will return to St George’s Hall once again on Saturday 25th and Sunday 26th June. More than 100 North West artists, designers and makers will offer their unique creations for shoppers to explore and buy, including jewellery, homeware, textiles, paintings and more. You can also take the kids along to the craft workshop or can enjoy a bite to eat at the café to enjoy local food and drink. The Greenroom is co-owned by TV’s Ricky Tomlinson, which is why The Royle Variety Show is not to be missed on 26th June. Offering fantastic variety acts, you are bound to enjoy this amazing afternoon of comedy, entertainment and music – with the doors opening at 2pm. The UK’s biggest day party will come to Constellations this month. 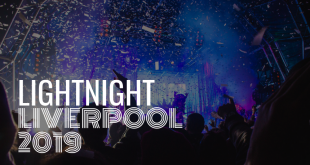 Following on from the roaring success of the Babylon summer solstice series in both Cardiff and London in 2015, the event will come to our beautiful city in the form of the Liverpool Summer Solstice Party. Think good music, good vibes and good food & drink. If you class yourself as a bit of a bookworm, we recommend taking yourself on a literary walk with Bluecoat Liverpool. Writer Deborah Mulhern has devised three literary walks, showcasing the literary histories of the city. The walks are between 1.5 to 2 miles long and will take between 1.5 to 2 hours to complete. Learn about the anti-establishment and anarchic 18th century voices from the city, the view of 19th century Liverpool or our seafaring stories that have influenced literature. It seems there’s no stopping Constellations when it comes to exciting events in the city. If you are looking for a great evening of great comedy, take yourself along to the popular venue to enjoy HooHa Comedy. Local comedians will take to the stage, all in the hope of providing you with a big belly laugh. Burt Bacharach has enjoyed 50 wonderful years in the music industry, penning hits such as Tom Jones’ What’s New Pussycat, Dionne Warwick’s I Say a Little Prayer and Dusty Springfield’s The Look of Love, plus many more. The six-time Grammy winner will take to the Liverpool Philharmonic stage on Wednesday 29th June to perform many of his most famous songs. The city’s best pub game will make its way to Ma Egerton’s Stage Door on the Last Thursday of every month – so take yourself along to the pub, located behind the Liverpool Empire, on Thursday 30th June at 8pm. Comedians Sam Avery and Jake mills will host Pop Music Bingo, which is basically a cross between bingo and a pop quiz. You simply listen to the music and cross it off your card to win a prize – and you can play for just £1 per game. Want to skip the events and head straight to the pub? Well, we can help you out with that, too. Take a look at our 12 best beer gardens in Liverpool.